Everything we (hopefully) teach our children (hello, goodbye, please, thank you, helpfulness, politeness) are supposed to be basic life skills. Unfortunately these essential skills seem to have lost significance in many corporate environments. Did you know that rudeness is one of the chief causes of stress? It is true, the negative behaviour of other people tends to stress people out. Sometimes I walk into companies and wait in the reception area. I love sitting there to observe people. If and how people acknowledge me as a stranger, tells me everything I need to know about the corporate culture. Boom! Just like that! Someone told me a while ago that saying “thank you” has absolutely no business value. If thoughts like this one start to manifest at the workplace, it will become a very toxic, non-productive and non-enjoyable environment. Say “hello” and “goodbye” at all times – even when people don’t greet you. You should not allow their behaviour to influence yours. Decide what kind of person YOU want to be instead of complaining about others. Offer your help whenever you can – it will create a ripple effect. Showing initiative and a helpful attitude stands out these days. Smile more than you frown – it will positively affect your mood and reduce your stress level. If people do something well, please tell them – it may be their job but it is nice for them to hear and provides feedback to reinforce their behaviour. 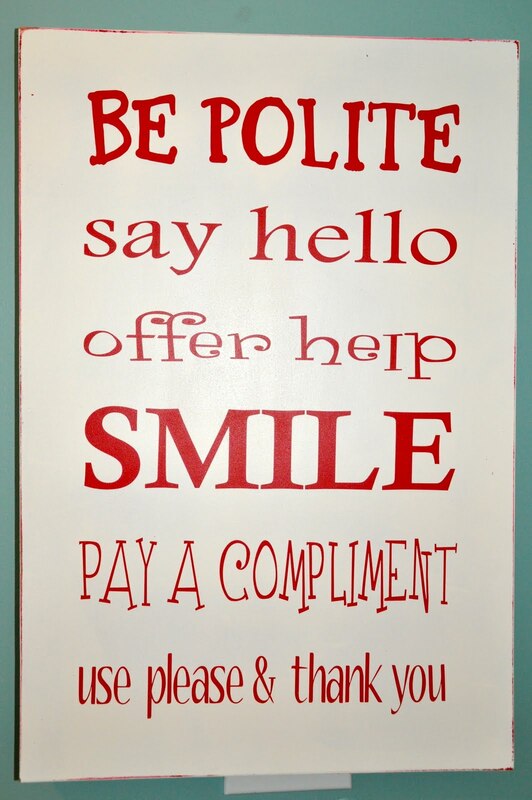 Say please and thank you – good manners matter and it is good business practice. People will start going the extra mile for you. Next time when someone is rude to you, give them the benefit of the doubt. Maybe they go through tough times at the moment. Don’t go down at their level and be aware how you respond. It is a test! I know that you’re busy but never underestimate the power of being polite.